The 2010 version of "Medicine Show" now available! 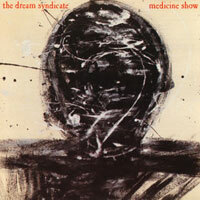 After a 20-year wait, the Dream Syndicate's 2nd album "Medicine Show" finally returns to CD and this new version is an update worthy of the wait. The 2010 digipack version of the 1984 classic features a sparkling, powerful sound, mastered from the original tapes as well as an expanded booklet with revelatory liner notes by David Fricke never seen before photos from the archives of Laura Levine. 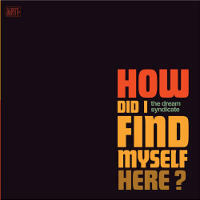 And if that wasn't enough, this new version includes the entire "This Is Not The New Dream Syndicate.....Live" -including the lengthy workout of "John Coltrane Stereo Blues" which didn't make the cut on the original 1991 reissue. "I've made over 20 studio albums in the last quarter century and "Medicine Show" sounds unlike any of the others. Even though each of them occupies its own sonic space, they all follow some kind of logical trajectory. "Medicine Show" is the odd man out. Not only does it not remind me of any of MY other records, I can't even think of anything else that sounds quite like it. I still play most of the songs live on a regular basis but the record itself is beautiful, unattainable, right and wrong in all the best ways. Karl wanted to make a big, panoramic rock record to justify our move to a major label and the plethora of attention we had received in the mere nine months that had passed since the release of "The Days of Wine and Roses." I wanted to make a "beautiful loser," button-pushing, over-the-top emotional catharsis in the tradition of most of my all-time favorite records (i.e.. "Big Star 3rd," Tonight's The Night," "Plastic Ono Band," etc.). We both got our way-- and in ways that neither of us could have predicted. I think it was this improbable collision of desires and personality that gives "Medicine Show" its character. Sandy Pearlman drove us to the limit and beyond, and you can hear the discipline, defiance, cracks-in-the-armor, mania, psychoses and the final graduation from all of the above in these tracks. I hear the laughs, the fights, the late nights, the booze, the Tenderloin, the Mission District, Sandy's ever-present baseball cap, the Clown Alley burger runs, late nights watching Dr. Gene Scott, the perilously high 24th- floor efficiency apartments at the Fox Plaza and every one of the days and days and nights and nights when I listen to this record. And I wouldn't change a thing. It would all make a good book. And, in fact, it probably will someday." This record finds Kendra Smith replaced by Dave Provost of the Droogs on bass. Originally Released by A&M records and produced by Sandy Pearlman. 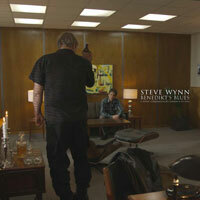 Unquestionably one of the records of the year ... A masterpiece.